Coconut oil is a versatile, stable oil that can be kept for up to a year and heated at relatively high temperatures without altering its composition. You can use coconut oil for cooking and baking, and take it as supplement. Coconut oil falls into the category of tropical oils, the main vegetable source of saturated fats, similar to those found in butter, lard, dairy and fatty meats. Many people shy away from saturated fats because they were long associated with an increase in the risk of cardiovascular disease, but coconut oil is safe to eat. Although it is true that coconut oil is rich in saturated fats, the types of saturated fats are unique. Because most of the saturated fats in coconut oil have a medium length, they are readily burned and used for energy and do not remain in the blood for long periods of time, according to Dr. Mary G. Enig, biochemist expert on fats and author of "Know Your Fats: The Complete Primer for Understanding the Nutrition of Fats, Oils, and Cholesterol." The most comprehensive meta-analysis reviewing the best data on saturated fats showed no association between any type of saturated fats and cardiovascular disease, as published in the January 2010 issue of "The American Journal of Clinical Nutrition." In a study on the effects of coconut oil compared to soybean oil in a group of overweight women, coconut oil resulted in a better blood lipid profile, according to an article published in "Lipids." At the end of a 12-week period, the women supplementing their diet with 2 tbsp. of coconut oil a day had higher levels of heart-protective HDL cholesterol levels. Their ratio of LDL to HDL cholesterol was improved, meaning their risk of developing cardiovascular disease was decreased compared to the group taking the same amount of soybean oil. 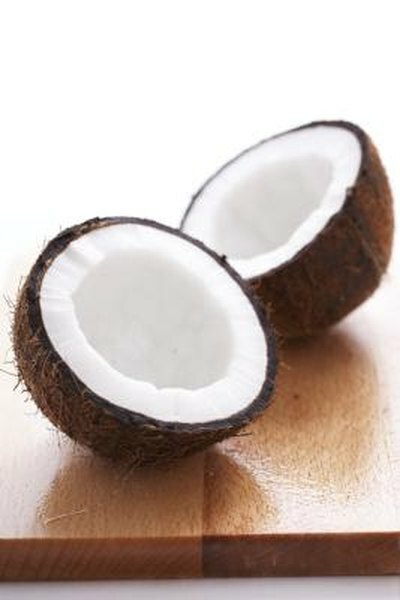 The type of fat in coconut oil can increase your metabolism and facilitate fat burning. When overweight women were given either 2 tbsp. of coconut oil or 2 tbsp. of soybean oil a day, both groups lost about the same amount of weight, but women taking coconut oil lost significantly more fat around the waist, according to the study in "Lipids." The excess fat around your waist is more dangerous than the excess fat on your lower body, because it is associated with heart disease and diabetes. Including coconut oil every day in your diet is not only safe, it could help you lose inches around your waist and prevent chronic health problems. Coconut oil is safe for your health and you can consume it every day without any problem. You can replace the fats and oils in your diet with the same amount of coconut oil. Dr. Bruce Fife, naturopath and expert on the health benefits of coconut oil, recommends taking about 2 to 4 tbsp. of coconut oil a day in his book "The Coconut Oil Miracle." Fife also mentions that it is best to start by introducing small amounts of coconut oil and to slowly build your way up to allow time for your body to adjust.